What type of healthcare providers can file liens? 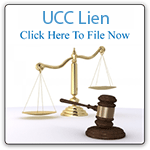 What is the effect of filing a lien? >A lien for medical care and services is a public document that provides notice to the world that a healthcare provider (hospital, surgeon, doctor, therapist, radiologist, laboratory, technician, physician's assistant, chiropractor, urgent care center, surgical or outpatient treatment center) has provided medical care and treatment to a patient and the provider has a legally enforceable right to recover payment for fees, bills and services provided to the patient. A properly filed lien puts the party who caused the patient's injuries on notice that payment of the outstanding bills must be made to the provider before payments can be made to anyone else (except government insurers). As a practical matter, a properly filed lien provides notice to the two individuals or entities who are likely to be handling the patient's settlement or award, the insurance company and the lawyer. It is common practice for any insurance company settling a claim or case on behalf of its insured to check the website of the County Recorder to see if a lien has been properly and timely recorded. The same is true for attorneys, especially the patient's attorney, who have both a legal and ethical obligation to honor properly filed and recorded liens and safeguard the provider's funds. Serious consequences can result when a lien is ignored, not honored or resolved without your permission. However, only liens which are filed in compliance with the law are enforceable. Liens which are defective have no legal force. What happens if I don't file a lien? You lose any right you may have to get paid out of the settlement or verdict funds for the care you, your staff or your organization provided to the injured patient/plaintiff. You still retain the right to sue the person who caused the injury (but not the insurance company) and you can still perform regular collection efforts against the patient, all of which takes time, money, staff and possibly extensive attorney involvement. When does a lien have to be mailed to be effective and who has to get notice? Under A.R.S. §33-932(C) to be valid, a lien MUST be mailed to the patient within 5 days of being filed with the County Recorder's office. For healthcare providers, other than hospitals or ambulance services, the claimant shall also mail a copy to all persons, firms or corporations and their insurance carriers, the injured person or the injured person's representative has identified as likely being responsibile for the injuries for which the patient received health care. That is why our Level 2 forms have spaces for the names and identities of responsible 3rd parties as part of our optional fields. By inserting the requested responsible 3rd party information in those fields our system will automatically return to you a completed lien with notification letters to the patient and any 3rd parties you have identified. However, it is still up to you, the customer, to mail them on time. Do Lien Notification letters have to be mailed by certified mail? No. A.R.S. §33-932(C) only requires a lien notification letter and copies of liens be mailed to patients and responsible 3rd parties by first class mail. It is recommended that paper copies of the postmarked envelopes be kept in the patient's medical or billing file in case the timeliness of the mailing is later challenged. What information must be in a lien to be valid and enforceable? Your verified statement (signed) must also include the amount claimed to be due and owing as of the date of the recording of the claim or lien and state whether treatment has terminated or is still ongoing. Amounts incurred subsequent to the filing of the original lien are also subject to the lien, if treatment is stated as still ongoing. What happens if my staff or I file a lien that is late, or does not meet all of the requirements set forth in the Statute? The effect is essentially the same as not filing any lien, except for 2 additional problems. First, you have wasted time preparing the defective lien, lost the filing fee and the fee to release the defective lien. Failure to promptly release a defective lien is grounds for an abuse of process lawsuit against you and your organization. Moreover, even if you have substantially complied with most of the requirements, you will likely be forced to either substantially compromise the lien or participate in some form of legal resolution of the lien. Common tools used by attorneys are Declaratory Judgments, direct legal actions and Court ordered participation in mandatory settlement conferences in which you and other lien holders must participate under threat of legal sanctions. You could even be named as a defendant in the primary suit. Are the filing requirements the same for everyone, or are there different requirements for doctors, hospitals, and ambulance companies? The time limitations for filing and perfecting a lien are much more favorable to Hospitals and Medical Transport companies (Ambulance and Air-transport services such as helicopters and planes). Hospitals "must" record their liens within 30 days of the patient's discharge and Ambulance and Air transport companies must record within 30 days after the patient received "any services". See ARS 33-932. All other providers are also required to record their liens within 30 days of the provision of medical care, services or treatment. However, Hospitals and Medical Transport services have a valid lien as long as it is "accessible" 30 days before a settlement is reached or a judgment is paid. The 30-day exception does not exist for treating doctors, physicians, assistants, radiologists, therapists, technicians, chiropractors and other non-corporate entities. Individual providers must file no later than 30 days from the first date of treatment. This means that an emergency room doctor or radiologist who renders care and treatment to a patient in a hospital Emergency or Trauma Center must file their lien within 30 days of the patient's first day of treatment or lose their right to file a lien. However, the hospital in which that care and treatment was rendered may wait until 31 days before the claim is resolved to file and still protect itself, even though the patient's care and treatment all took place on the same day, at the same location. The same is true for the ambulance or helicopter company that transported the patient to the Emergency department or Trauma unit. These time constraints for evaluating your patients and your potential lien rights are why Southwest Liens developed this service. However, just because a hospital or medical transporter has longer than 30 days to record their liens does not mean they can or should wait to record. In today's climate, many insurance companies have revamped their claims settlement practices to attempt to resolve small to medium-sized claims before liens can be filed. In some cases, injured patients are being offered lump sum settlements within a few days of the accident. These "quickie" settlements are often for less than the medical bills themselves and are designed to thwart the purposes of the lien statute. While the legality of these practices is debatable, nevertheless they are increasing and place a premium on timely evaluation and action. This is where we come in. What else has to be done to perfect a lien? To perfect a lien requirement, it must not only be timely filed, with all of the required information, a copy of the lien must also be sent by first class mail to the patient, or, in the case of a minor, to the patient's guardian. However, for the non-institutional providers, (i.e. not hospitals or medical transport companies) a copy of the lien must also be mailed to all 'persons, firms, corporations and their insurance carriers claimed by the injured person..." who are claimed to be responsible for the injuries which caused the injuries in the first place. See ARS 33-932 (C). Therefore, how much time you have to file a lien depends on what type of provider you are. The burdens to track and timely file liens for the actual human beings (doctors, physician's assistants, surgeons, therapist, technicians and chiropractors who actually provide the care and treatment) are far greater than they are for the institutions where the care and treatment is provided. This means individual provider and their practice groups must be much more diligent in evaluating their eligibility and status as potential lien holders than institutions. Is it really important that the lien meet all the requirements set forth in the statue? Yes. Because medical liens are created by the legislature, the courts tend to strictly construe the requirements for perfecting a valid and enforceable lien. This is especially true in states like Arizona where the legislature has an exemption to its long-standing public policy against assignment of funds in personal injury claims. It is common practice for attorneys to attack any deficiency in the lien as rendering it non-compliant and unenforceable. Litigating whether your lien complies with the statute is time consuming and expensive. Where do Medical Liens have to be filed? The provider must file in the Office of the County Recorder in the county where the treatment took place. Consensual liens should be filed in both the Office of the County Recorder where the treatment took place and also in the County Recorder where the patient resides. AHCCCS must file in the county where the injury happened. Certain County hospitals, such as the recently created Maricopa County Health District also have automatic lien rights that attach at the moment care and treatment is rendered. Finally, certain employers which have self-funded medical benefit plans, formed under the Employment and Retirements Security Act (ERISA) of 1974, have broad and expansive lien rights which supersede state laws and regulations under the doctrine of Federal Preemption. Slider What happens if a patient, lawyer or insurance adjuster calls after a lien is filed? That depends on what level of service you have chosen. If you are a Level 2 customer who only uses SWL, Inc. for our forms and filing and record retention service, then you must make your own decision as to how to respond. If you are Level 1 customer, SWL, Inc.™ will handle your lien from start to finish. What is the risk of not filing a lien as soon as possible? In today's economic climate, many insurance companies have revamped their claims settlement practices to attempt to resolve small to medium size claims before liens can be filed. In some case, injured patients are being offered lump-sum settlements within a few days of the accident. These "quickie" settlements are often for less than the medical bills themselves and are designed to thwart the purposes of the lien statute. While the legality of these practices is debatable, nevertheless their usage is increasing. This places a premium on timely evaluation of your rights and prompt action on all healthcare providers, even Hospitals and Ambulance companies. This is where we come in. ©2015 Southwest Medical Services, Inc.